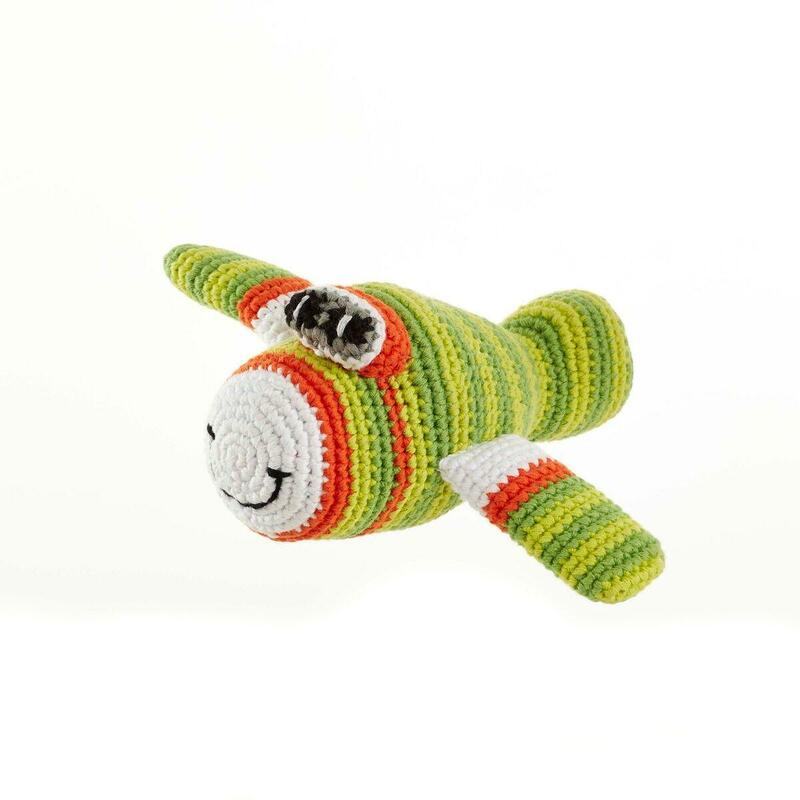 Part of our transport range, a fabulous green Pebble crochet cotton plane baby rattle. Easy to grip, tactile and bright they are sure to be popular with babies and toddlers. This baby toy is ideal for early imaginative play.